Being one to take advantage of nature’s opportunities, I especially like it when I find self-seeded treasures. Just under this beautiful coral bark maple, about ten years ago, I discovered a “baby”, and after getting the homeowner’s “ok” with my idea, I dug it up and brought it home. For many years, probably 8 or so, she has grown in a pot–mainly because I wasn’t sure where to plant her. So she didn’t grow as quickly. But now in the ground almost two years, she is 5ft tall. 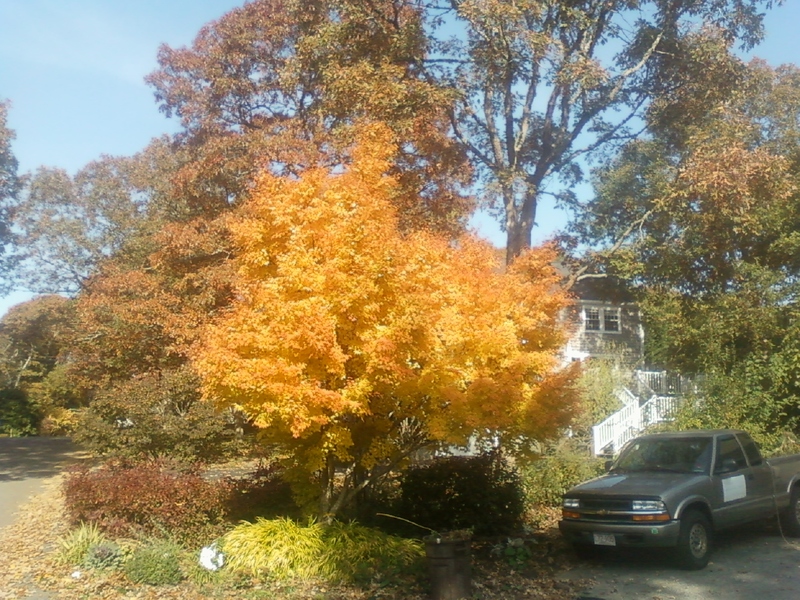 This picture is of “momma” tree and seeing her today, in her glorious fall finery, I look forward to the tree my baby will become. All because I was willing to spend a few moments, a little bit of care and a dash of patience to help her grow. 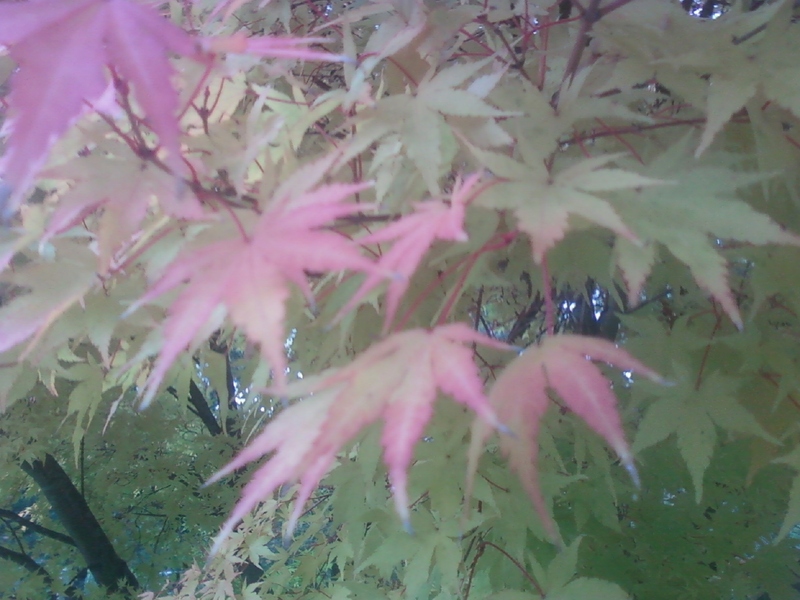 Gallery | This entry was posted in Blog, Fall, Garden. Bookmark the permalink.